The large flat are used to flatten objects and to strike chasing tools. The round ends are for riveting and making decorative designs on metals. Forged steel head are mounted on pistol-type hardwood handles. Handles only, are also available. 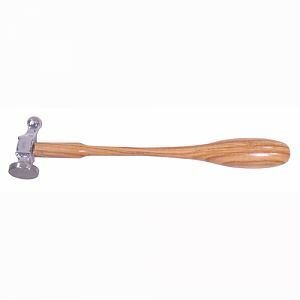 Please note: Although the 3/4"diameter head is no longer available the handles for the head are still available.